a range of sizes and geographical locations. Farms with high biodiversity scores were often but not exclusively participating in Stewardship schemes, often with particular protected habitats. 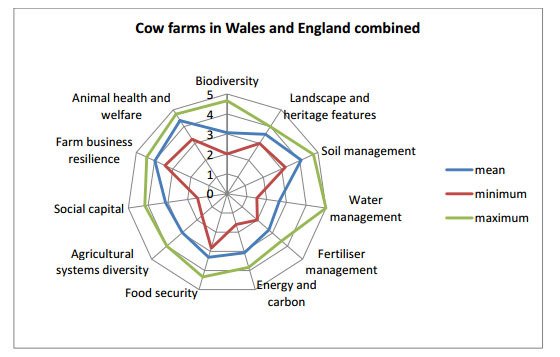 The assessment method had limitations in illustrating the biodiversity of dairy farms clearly. Soil management was generally good. More use of soil sampling would help to increase the information farmers have to help their decisions on inputs. 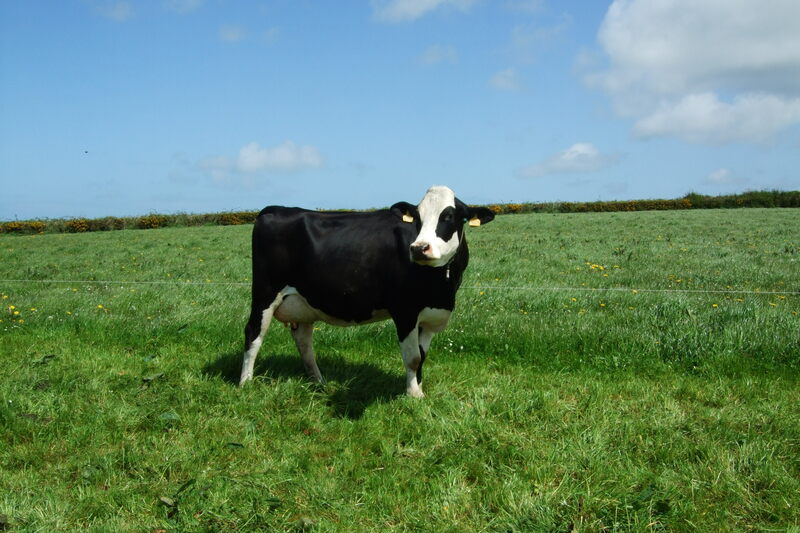 Keeping cattle outdoors in winter is relatively unusual and limited to farms with suitable conditions of soil and climate so risks of damage from this practice are relatively low. Farmers’ attitudes to water management were strongly influenced by their prevailing local weather conditions. In high rainfall areas, in some cases farmers were not particularly concerned about water since the supply was generally plentiful, but high rainfall could also bring challenges to slurry storage and increase farmers’ awareness and activity related to water management. For the participating farmers there were no problems with artificial fertiliser management since they were all organic. Management of farm manures and slurries is controlled by regulations in Nitrate Vulnerable Zones which did not apply to some, but not all the farms assessed. Nutrient management scores were quite strongly influenced by the individual farm nutrient budgets. More than half the farms had conducted an energy audit and many of these also a greenhouse gas audit. The farmers were more likely to have acted on the suggestions of the energy audit, but some had also made changes as a result of the greenhouse gas audit. More than half the farms had some renewable energy production, including solar panels and wind turbines. There were very few examples of land use change that would have a major impact on carbon sequestration. Overall, the farms’ production level was slightly above average for their type. Due to the large proportion of forage in the diets, they were using relatively low amounts of human edible food. Due to the structure of the companies, the Calon Wen farms sold to a closer market than the OMSCO farms. The majority of farms specialised in milk production which limited the system diversity. The most common additional operations were beef and cereal production. Most sold all their milk to the co-operative, but a few also processed some on farm. Sales of livestock increased the number of outlets for farm products. However, reductions in the number of slaughterhouses and livestock markets have limited the options for UK farmers. OMSCO farms were all covered by an ethical trading agreement which contributed to their social capital score. The majority of English farms used a combination of casual, employed and family labour. Labour use per 100 ha was higher for the Welsh farms, with more reliance on family labour. Several farmers, particularly, but not exclusively, those with on-farm milk processing, had considerable interaction with the public. In the UK, farmer engagement with the public is considered to be a good marketing strategy, although not all farmers are willing to become involved. On the whole, the farmers interviewed were positive about the future of their business although in the UK at the time there were other farmers giving up milk production, including organic farmers. They saw strength in opportunities to add value to the product. Some saw the organic sector as being restricted in terms of input due to the limited number of suppliers (eg of feed, seed and livestock). Some farms felt restricted in terms of output due to the physical nature of their farms, eg if they were unsuitable for cereal production. Farms generally scored well on this spur. The fact that farmers in both co-operatives were required to prepare a herd health plan raised their scores. The expenditure on veterinary medicines was relatively low. Diets being high in forage contributed to favourable scores.